#FashionDiaries: A Day Before The Event, I Didn't Have A Blouse! So, this incident dates back to the time when I had just started blogging about fashion and had started getting invitations to be a part of fashion events and launches. One of them happened to be for the store launch of Satya Paul in CP. This was totally unexpected as I was a newcomer and an invitation from something as big as Satya Paul never even crossed my mind. I wanted to make the most of this opportunity. All the big names of the world of blogging were expected at the launch and it was going to be my first meeting with them, I definitely wanted to look good. I wanted to make a good ‘first’ impression and the first step to that was finding the right outfit for the evening. I stood in front of my wardrobe, clueless about what to wear. After a mind boggling discussion with my friends and a long intense session of wardrobe walk-throughs, I finally called my mom for help. 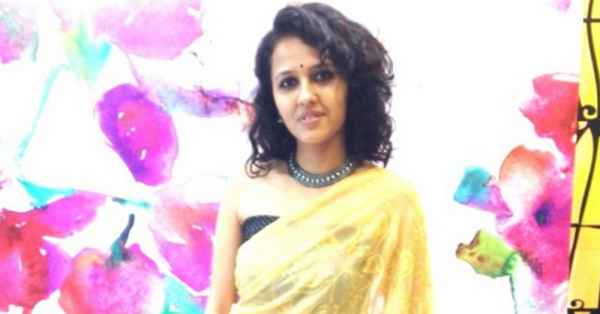 Also read: #FashionDiaries: I Turned My Mom’s Old Saree Into A FAB Dress! She insisted that I wore a sari for the event, after all, Satya Paul is famous for its saris. She offered to lend me one of her saris for the event and I agreed instantly. On my approval, the sari was parceled to me, with an ‘URGENT’ tag on it. I received it a day before the event, thankfully. I opened the packet and took a good 2 minutes to admire its gorgeousness and simplicity. 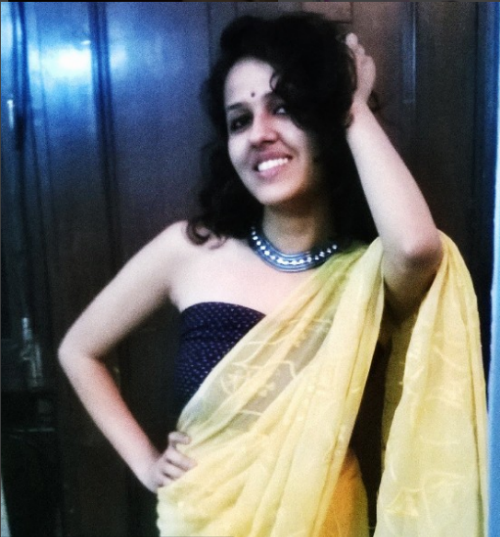 It was a pale yellow embroidered sari which I thought would suit my complexion perfectly. I felt relieved, but the feeling didn’t last for long. We know that life is never easy, therefore this sartorial expedition could NEVER go so smooth. There had to be some glitch. And there it was - the BLOUSE! It did not fit me. With the sleeves falling off my shoulder, it looked like a disaster. It was just too loose. I could have gotten it altered but there was no time. And on top of everything, I also had to decide on what accessories I was going to wear. Well, had you known how poor my accessorizing skills are, you would have understood my concern and would have sympathized with me.